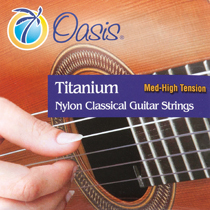 Oasis® Titanium Nylon Treble classical guitar strings are precisely calibrated. Made from a special polyamide mixture, their distinctive purple/grey color is as unique as their sound. They produce a gorgeous, wide, color palette rarely found in a nylon guitar string. It would be difficult to overstate the excellence of these strings. 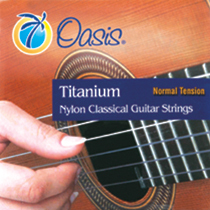 Our Titanium Nylon Trebles come in two tensions: normal and medium-high and are paired with similar tension Sostenuto™ bass strings.